In today’s Church most parishes have only one priest and larger parishes may have two priests. 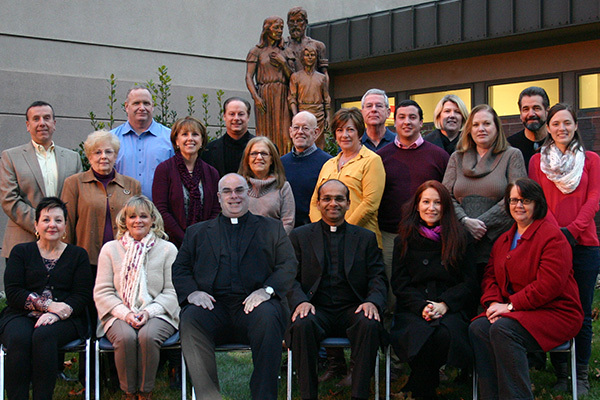 Holy Family is one of the larger parishes in the Diocese of Camden ministering to approximately 4,000 families. Between Fr. Alfred, Deacon Joe and Deacon Jerry it leaves us with the care of about 1,000 families each. Quite impossible to reach and be present to all with all of the other duties we are obliged to carry out. Ministries within a parish are critical as many of these ministries are an extension of what we clerics are doing, minus the sacramental aspects. Here at Holy Family, we are blessed with one such ministry that reaches out to those who are grieving or suffering due to broken relationships, death of a family member, or some other spiritual crises. The Stephen Ministry started by Fr. Robert Hughes and Fr. 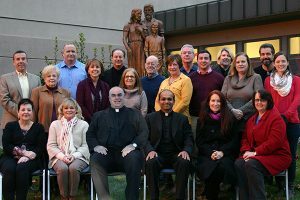 Sanjai Devis here at Holy Family has become such an integral part of our identity and everyday life, as the ministry has grown to 56 members who are also known as care givers. The persons they meet with are care receivers and in those meetings, people are given the space to voice their feelings in total confidence and privacy with another disciple of Christ, as we are all disciples in this life. Observing the Stephen Ministry in my two plus years as pastor, I have come to notice how caring the members are for their fellow brothers and sisters in Christ. Many, if not all the members themselves, have been through some crises of their own which helps them as St. Paul says to reach out with the same compassion that they were shown by God and to then extend it to others. In my conversations with some of the Stephen Ministers, I have come to learn how they accompany persons each step of the way truly entering into the care receivers’ journey much like Christ enters into a journey with us each step of the way. Therefore, Stephen Ministry is profoundly personal and sacred. Father John Picinic and Father Sanjai Devis, with some of the Stephen Ministers of Holy Family Parish.